Dr Ben Ahern is working to reduce the effects of roaring on equine athletes. An Australian equine surgeon is investigating treatments for the degenerative condition “roaring”, or laryngeal hemiplegia, with the aim of reducing its effects. Roaring restricts oxygen intake during exercise in horses and affects racehorses and taller breeds of horses. University of Queensland veterinarian Dr Ben Ahern said the condition affected about 1400 thoroughbreds in Australia every year, as well as other breeds such as draft horses. It results in exercise intolerance due to obstruction of airflow. “This obstruction causes the characteristic whistling or roaring noise for which the disease is colloquially known,” Ahern said. Ahern is one of only a handful of veterinarians with dual qualifications from the American College of Veterinary Surgeons and the American College of Veterinary Sports Medicine and Rehabilitation. He said the current surgical treatment of roaring had a 70 per cent success rate, but was associated with a variety of potential complications. Recently researchers in the UK and USA have pioneered performing a standing surgery technique to correct the airway obstruction caused by the condition. 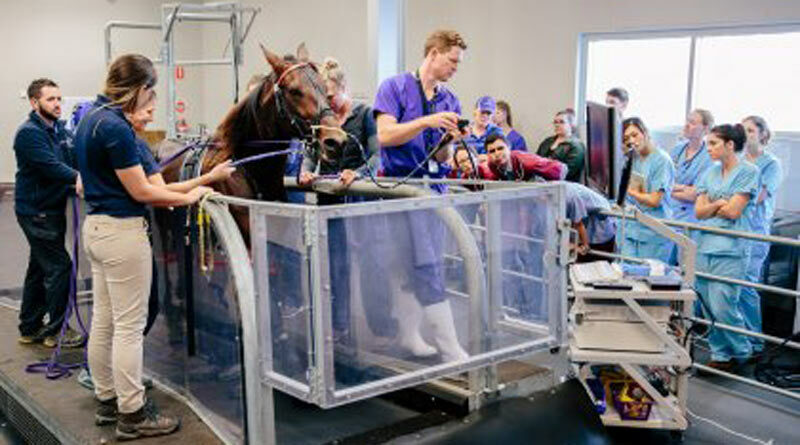 The standing technique that Ahern performs at UQ’s Equine Specialist Hospital is aimed at reducing surgical complications and optimising the horse’s post-operative performance. In addition to these recent improvements, Ahern has recently developed a prototype prosthesis which could replace functional muscle and can be customised to each horse. Ahern said the prototype had proved successful in pilot studies but was still only proof-of-concept and not yet ready for commercial production. He said breathing problems in horses were always complex, but the recent advances and techniques improved the quality of life and athletic careers of horses.